I have finally found time to participate in another Less is More challenge. This week, it is Neutral Colours. A perfect opportunity to use my new French Foliage set. This has been on my wish list for a long time and I finally purchased it. I have used Naturals Ivory as my base and scattered some of the spots image on it using Crumb Cake ink. The layered panels are Soft Suede and Very Vanilla which has been randomly stamped with the large leaf and the French script images. To complete the picture, a birthday greeting from On Your Birthday was stamped in the top corner using Soft Suede ink. I love everything I’ve seen with this set, but I think this is one of my favorites! Great design – love all the colours you’ve chosen! Wow! Awesome card Annette. 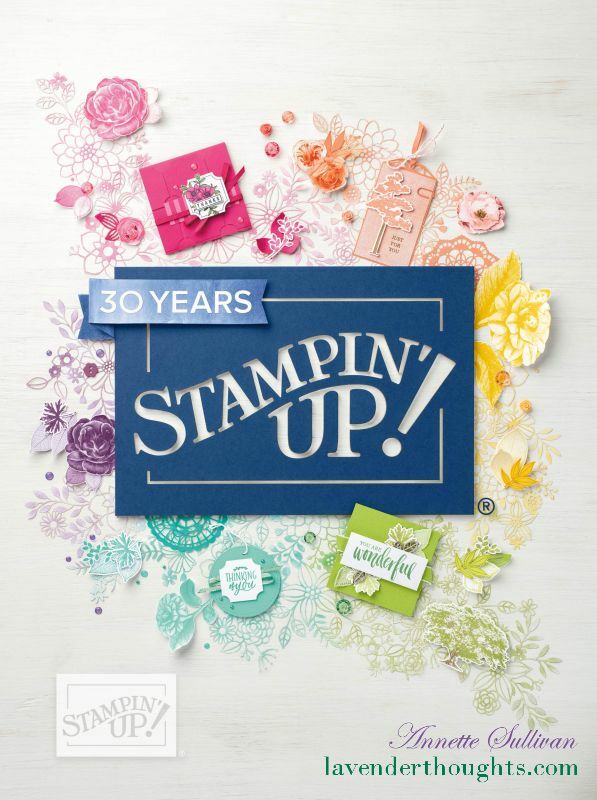 Love the fantastic stamps. May have to search those out! I bet you’re just thrilled to have French Foliage… isn’t it just THE best set! Lovely card, love the colour combo and the leaves are just so pretty. Awesome, love the leaves and the colours. Very lovely indeed. 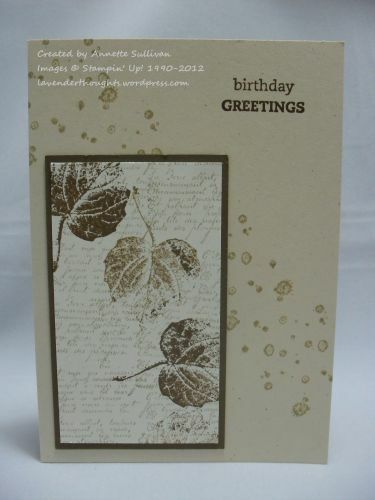 Beautiful card, your stamps are really wonderful, i love it, great idea your background, very elegant card, well done. very pretty card! love those colors and use them lots myself. Beautiful, Annette! I love this card!